For the love of bunnies, zombies and frocks! 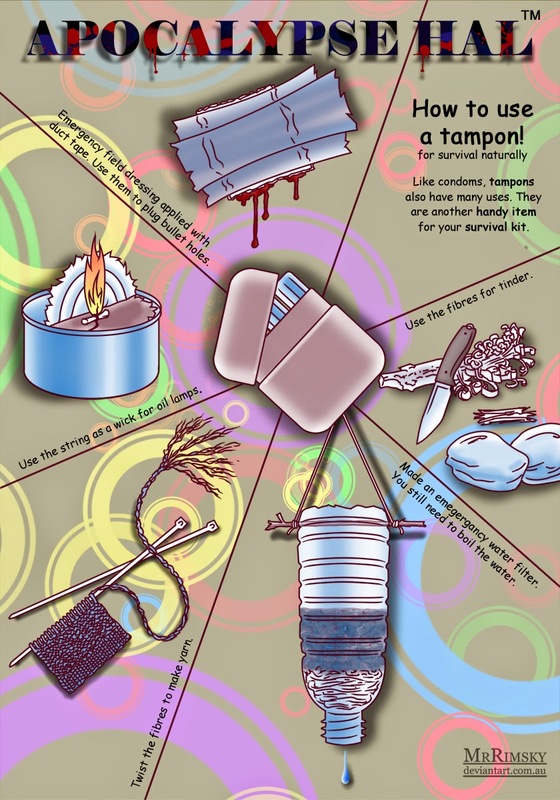 : Apocalypse Hal - How to use a tampon! Apocalypse Hal - How to use a tampon! Decided I needed a "companion" issue to go with last week's How to use a condom. I have heard that army medics carry a few for plugging bullet wounds until they can move the wounded to a medical facility. I have seen them used to stop nose bleeds so it makes sense. Next week something more tasteful - pets for the apocalypse. Apocalypse Hal - How to use a condom! Archie upgrades with the undead!